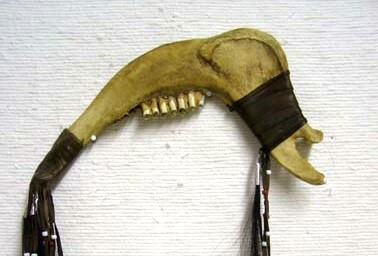 This is the BATTLE BORN BUFFALO JAWBONE WAR CLUB. 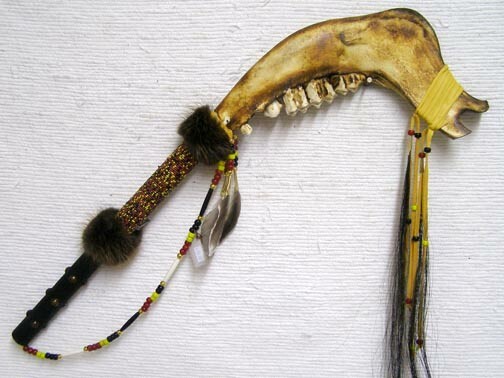 It features a genuine buffalo jaw bone with an extended wooden handle dressed in variety colored seed beads & bits of coyote or fox fur. 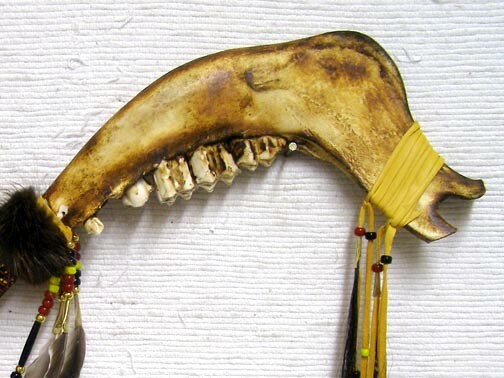 The buffalo jaw has been decoratively scortched & highlighted. 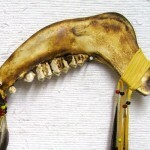 It is decorated with beaded fringe, beaded drape & horse hair. 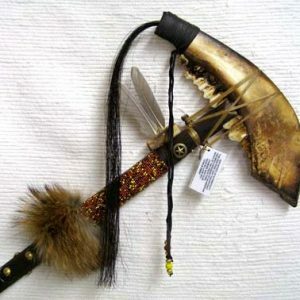 This is a warriors weapon ! 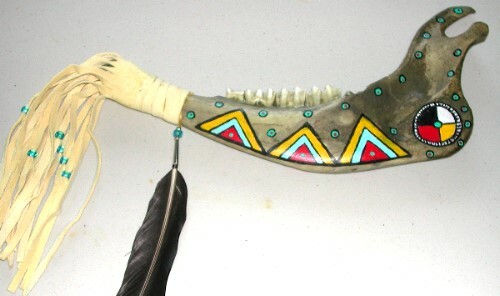 Add this to your collection or carry with your regalia ! This club is decorated on both sides ! Total length 23″. 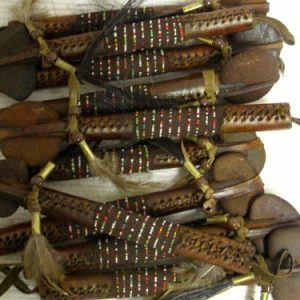 Leather, fur & bead colors will vary. Made by well known artist La Ne Ayo of the Creek people.